The Department of Physics at the University of Virginia conducts research in topics such as atomic, molecular, and optical physics, condensed matter physics, mathematical physics, biological and medical physics, high energy physics, and nuclear and particle physics. 1925 – 1926Jesse Beams was on faculty. 1928 – 1977Jesse Beams was on faculty. 1946 – 1947Edward Ney was on faculty. 1947 – 1958Clinton Davisson was on faculty. 1955 – 1961Stephan Berko was on faculty. 1984 – presentThomas Gallagher has been on faculty. Received PhD (1925). National Research Council (NRC) Fellow in Physics; Associate Professor to Professor of Physics; Professor of Physics; Chair, Department of Physics; Francis H. Smith Professor of Physics; and Emeritus Professor of Physics. Received BA (1950) and PhD (1954). Assistant Professor of Physics and Associate Professor of Physics. Professor of Physics and Jesse W. Beams Professor of Physics. Received PhD (1946). Assistant Professor to Associate Professor. Received BA (1951), MS (1952), and PhD (1954). Received MS (1956) and PhD (1958). Received MS (1930) and PhD (1931). University of Virginia Department of Physics Physics Accelerator Building photographs, 1966. University of Virginia Department of Physics reports, 1932-1940. 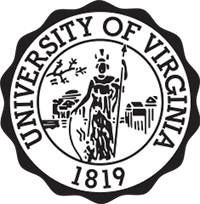 A brief history of the physics department of the University of Virginia, 1922-1961. Carroll Mason Sparrow papers, circa 1918-1940. Dudley Williams, Fifty years of physics: Some personal memories, circa 1976. Frank L. Hereford papers, 1960-1976. Fred Allison autobiographical sketches, 1965. Frederick L. Brown intellectual autobiography, 1961. Frederick L. Brown notebooks, 1912-1954. Frederick L. Brown papers, circa 1922-1955. James P. C. Southall papers, circa 1889-1945. James S. Trefil papers, 1965-2009. L. B. Snoddy papers, circa 1886-1950. Morris E. Rose papers, 1959-1964. Oral History interview with Edward P. Ney, 1984 February 29. Oral history interview with Robert Doering, 2008 December 9. Piet Cornelis Gugelot response to 1981 History of Nuclear Physics Survey, 1982. Robert M. Patterson correspondence, 1834-1847. Robert M. Patterson papers, 1775-1853. William B. Rogers papers, 1804-1911.